Installation CD or DVD. 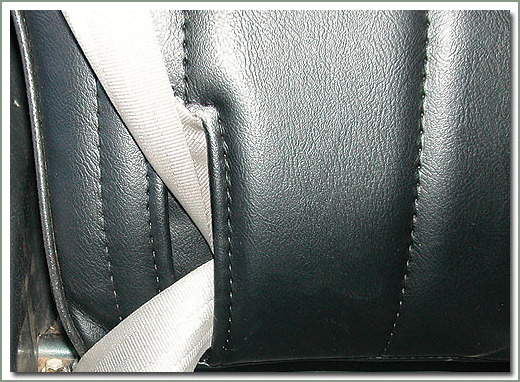 This CD/DVD was produced to show bucket seat upholstery procedures. 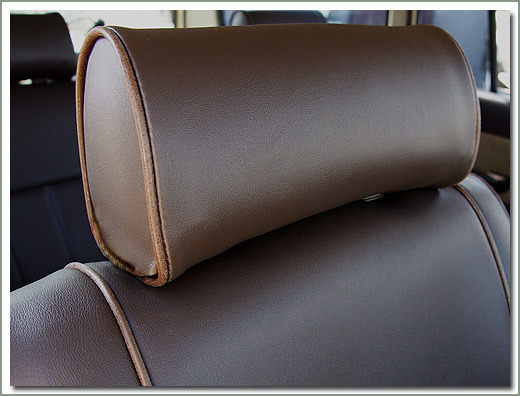 Improve and upgrade your interior, replace your old worn, dirty cloth seat covers with SOR's 60 Series Deluxe Upholstery Sets. SOR manufactured using durable high quality marine grade vinyl. 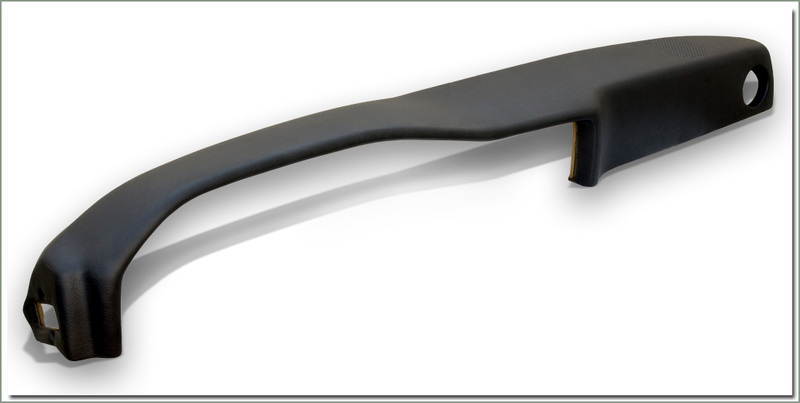 Factory tailored finish, sewn to the exact OEM specs and dimensions as your factory cloth seat covers. Manufactured by SOR so you know they fit perfectly. These upholstery sets are specifically designed to fit with new bottom molded foams, #308-100, so you have a tight, snug, perfect comfortable fit. 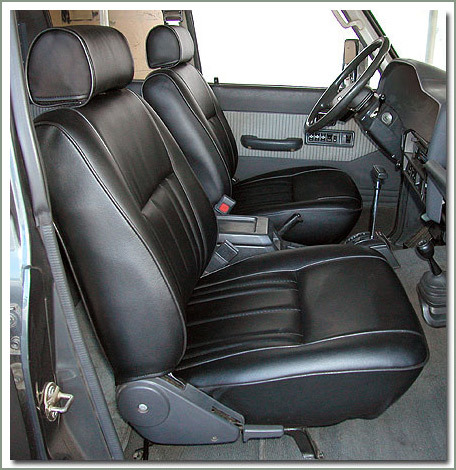 Enjoy the new improved appearance with durable, easy to clean vinyl seat covers. 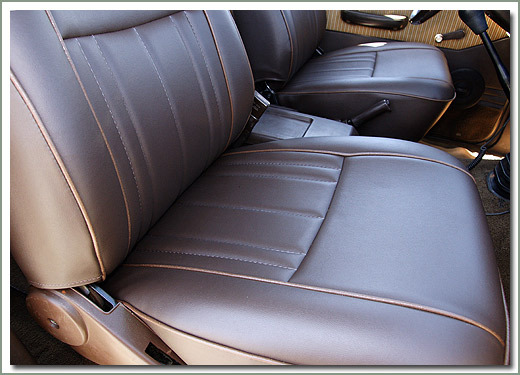 You and your Cruiser deserve the high quality look and improved comfort ride. 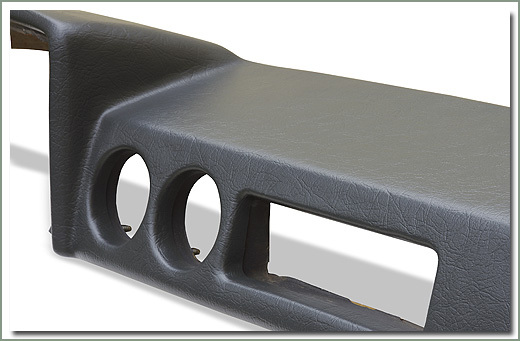 Front seat cover set includes 4 pieces, 2 bottom covers, and 2 seat back covers. 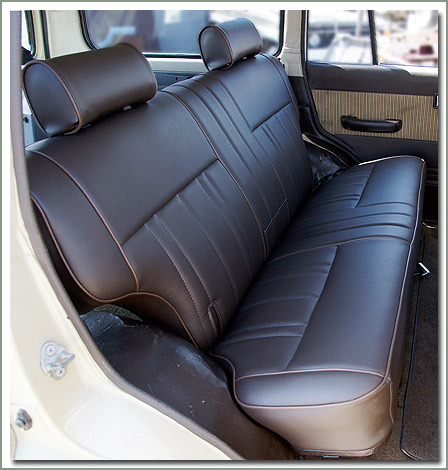 The rear seat cover set includes 2 pieces, 1 bottom bench seat cover, and 1 bench seat back cover. 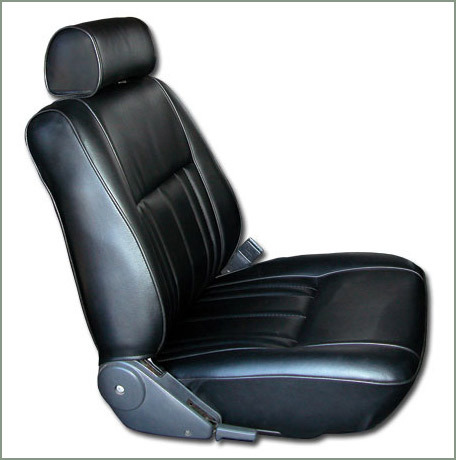 Matching headrest covers are also available for front and rear seats and are sold separately. Detailed installation instructions are included. Be sure and check out the SOR Premium Carpets Sets, Wheel Arches and Tailgate Panel Kit to put finishing touches on your interior refurbishment project. All made in the USA. All made here at Specter Off-Road, see page #343. 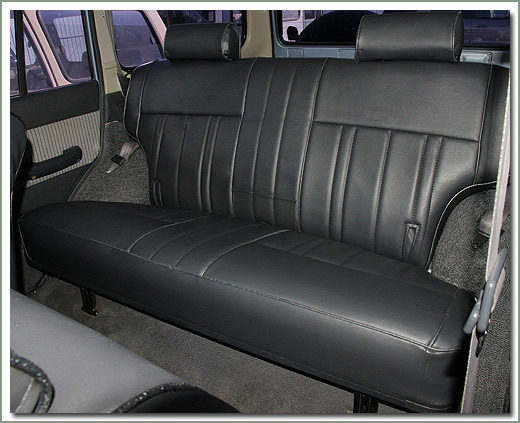 Improve and upgrade your interior, replace your old worn, dirty cloth seat covers with SOR's 60 Series Reproduction Upholstery Sets. 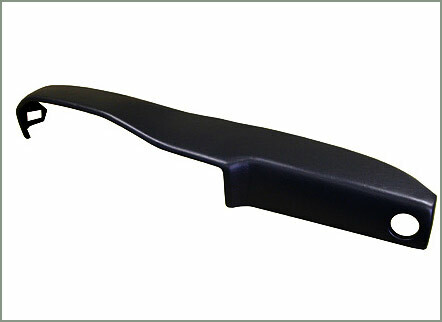 SOR manufactured using durable high quality marine grade vinyl. Factory tailored finish, sewn to the exact OEM specs and dimensions as your factory cloth seat covers. Manufactured by SOR so you know they fit perfectly. These reproduction upholstery sets are specifically designed to fit with new bottom molded foams, #308-100, so you have a tight, snug, perfect comfortable fit. 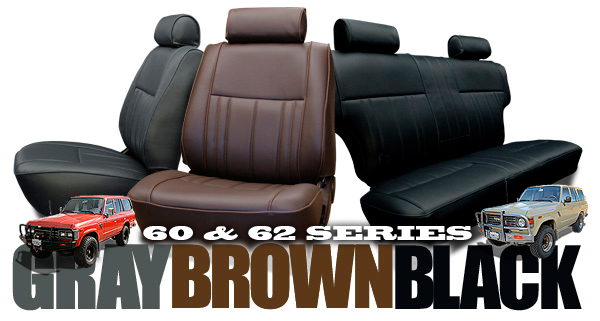 Enjoy the new improved appearance with durable, easy to clean vinyl seat covers. 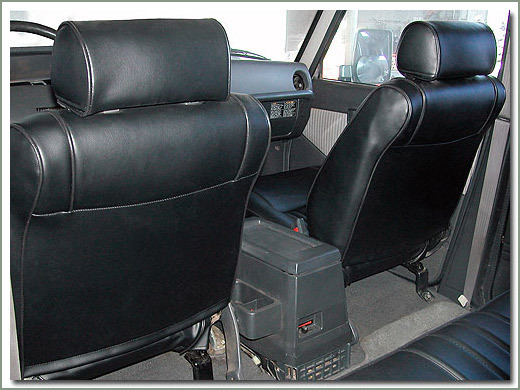 You and your Cruiser deserve the high quality look and improved comfort ride. 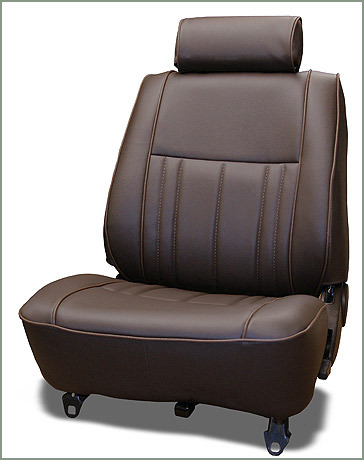 Front seat cover set includes 4 pieces, 2 bottom covers, and 2 seat back covers. 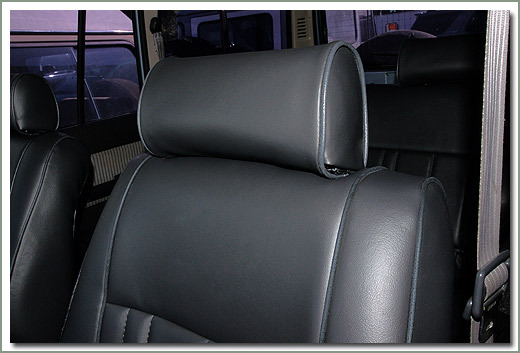 The rear seat cover set includes 2 pieces, 1 bottom bench seat cover, and 1 bench seat back cover. 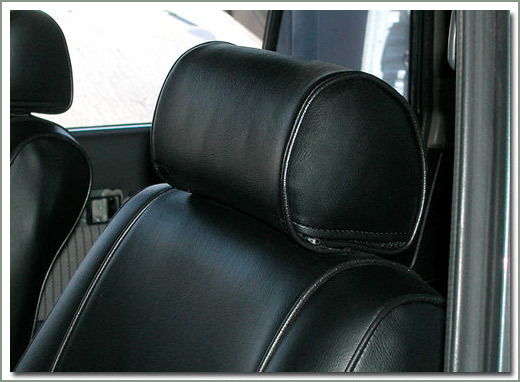 Matching headrest covers are also available for front and rear seats and are sold separately. Detailed installation instructions are included. 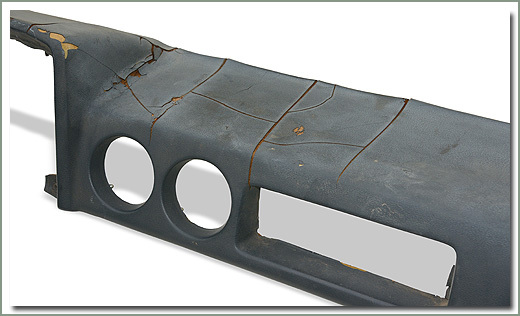 Foam manufactured back then is not what it is today, new technology has enabled us to make an improved higher density product. SOR’s reproduction High Density Bottom Molded Foams are just the thing you need to renew your seats like they were factory new. These high density foams are contoured to exact factory dimensions, these are the real thing! 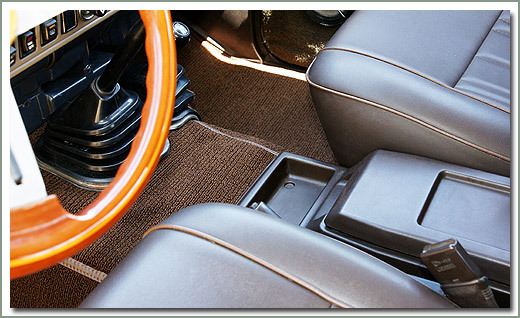 Easy to install, and will fit under your factory seat covers or SOR’s reproduction Upholstery Seat Covers. No more back pains from long rides, these molded foams will allow you to sit up tall and firm. New support, and new comfort. Try one side, you’ll be so impressed with the support, we know you’ll be back for the other side. Sold each. Have you forgotten what a comfortable ride your 60 Series wagon use to be? Chances are by this time your factory bottom seat foams are worn out. Especially for those wagon owners who have installed bigger tires and suspension lift kits, just the motion of getting in & out of your car wears down the edges, and the internal steel supports. Time alone deteriorates the foam, and all 60 Series wagons are ten plus years old, so chances are your foam is soft and spongy. 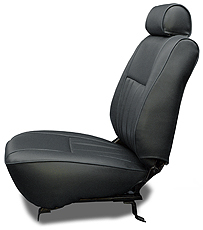 Fits 8/80-1/90 60 & 62 Series front bucket seat - Upgrade your seats to a firm comfort ride, contoured to exact factory specs and dimensions. Fits driver or passenger side bottom bucket seats. SOLD IN A PAIR. 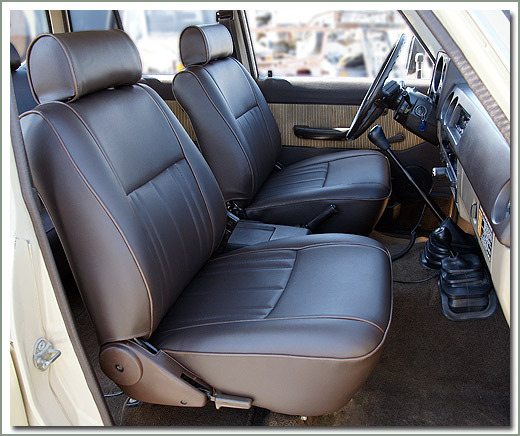 Improve and upgrade your interior, replace your old worn, dirty cloth seat covers with SOR's 60 Series Reproduction Upholstery Sets. SOR manufactured using durable high quality marine grade vinyl. 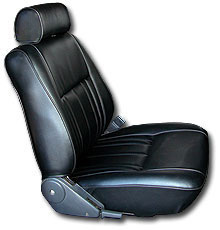 Factory tailored finish, sewn to the exact OEM specs and dimensions as your factory cloth seat covers. Manufactured by SOR so you know they fit perfectly. These reproduction upholstery sets are specifically designed to fit with new bottom molded foams, #308-100, so you have a tight, snug, perfect comfortable fit. 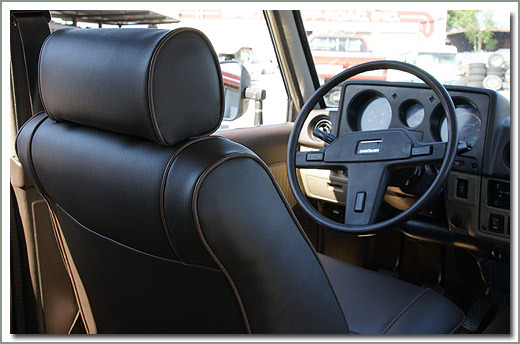 Enjoy the new improved appearance with durable, easy to clean vinyl seat covers. 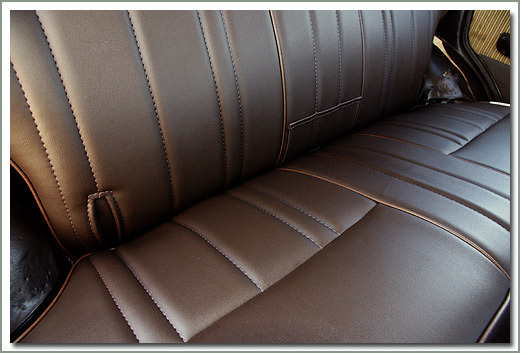 You and your Cruiser deserve the high quality look and improved comfort ride. 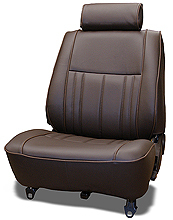 Front seat cover set includes 4 pieces, 2 bottom covers, and 2 seat back covers. 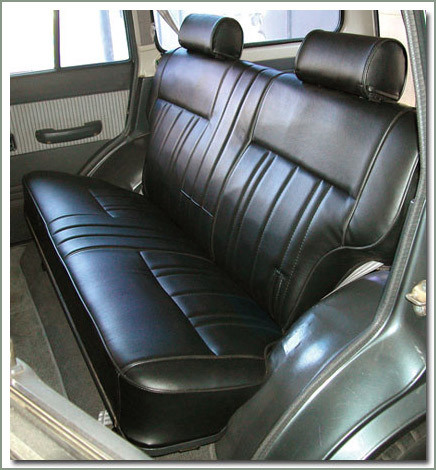 The rear seat cover set includes 2 pieces, 1 bottom bench seat cover, and 1 bench seat back cover. 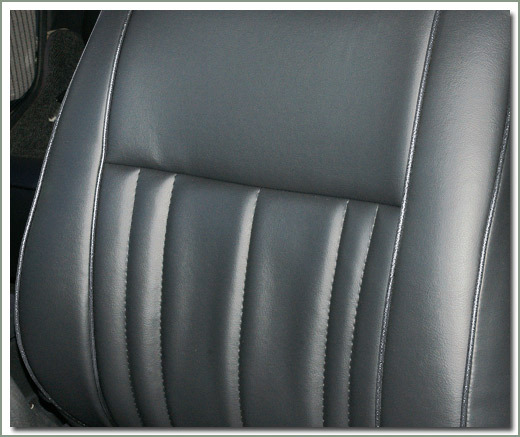 Matching headrest covers are also available for front and rear seats and are sold separately. Detailed installation instructions are included. 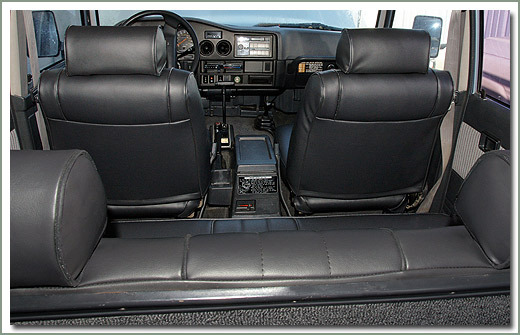 Improve and upgrade your interior, replace your old worn, dirty cloth seat covers with SOR's 60 Series Reproduction Upholstery Sets. SOR manufactured using durable high quality marine grade vinyl. 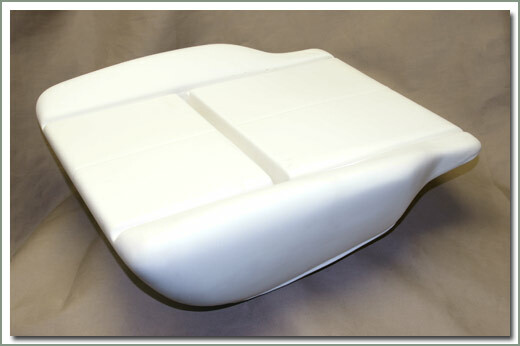 Factory tailored finish, sewn to the exact OEM specs and dimensions as your factory cloth seat covers. 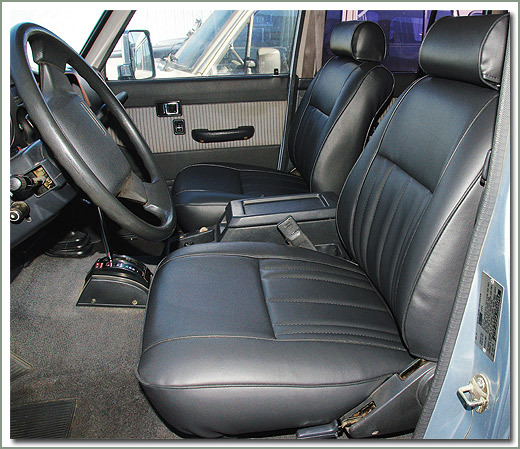 Why should you buy Specter's Upholstery Seat Covers? You may ask why buy these upholstery sets when I can buy slip covers? 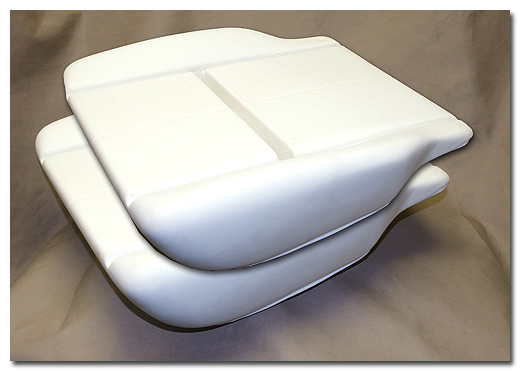 Slip covers are designed to go over your stock seat covers & protect them. 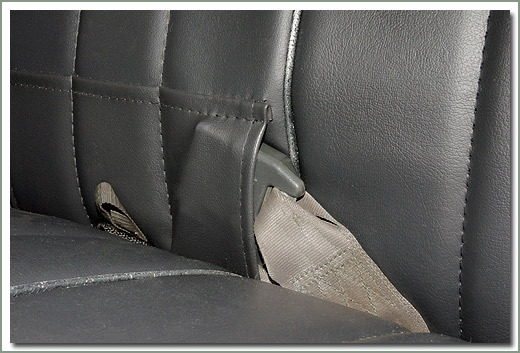 If your factory seat covers are ripped and torn, these rips will have a tendency to wear the bottom of the slip covers in the torn area. 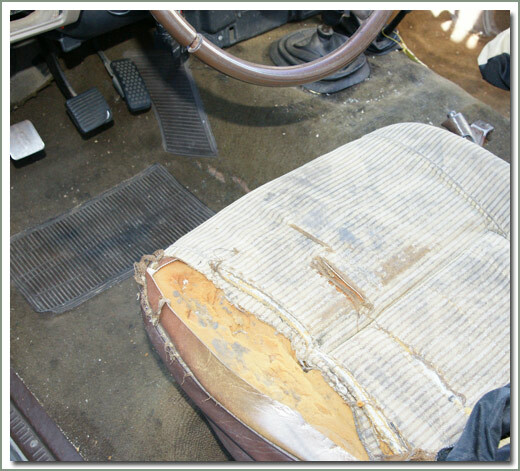 Slip covers are made to go over your factory seats, so of course they have to have a slightly looser fit to go on over the top of the factory seats. 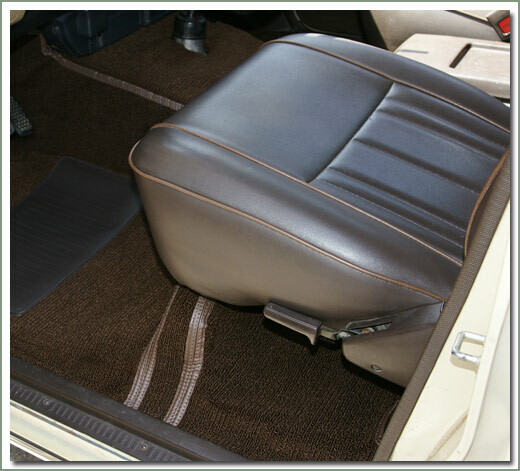 If you are looking for a tight tailored look the upholstery kit is what you want to start with. 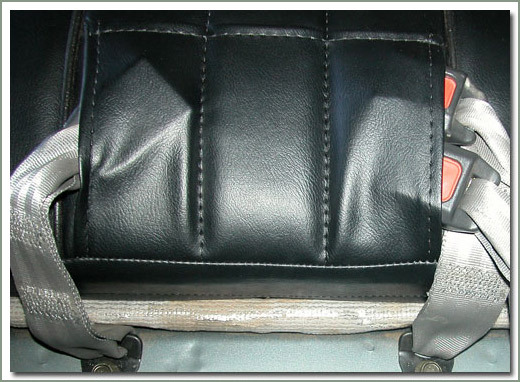 It is possible to achieve a tight fit on your old foams with the re-upholstery set as opposed to the slip covers, if your old foams are not flat, and the side is not worn down from getting in & out of the car, you can pull the upholstery tight to make a nice tight fit. However, your upholstery will only be as good as the base you have to work with, so the new foams are the hot ticket. 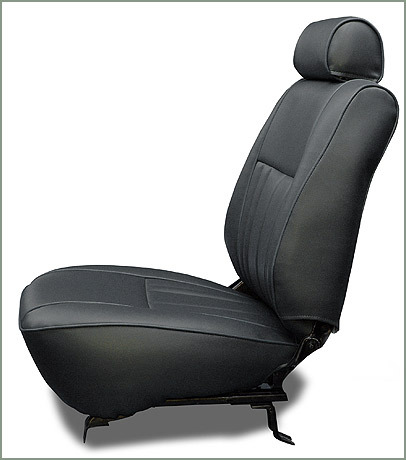 Your comfort and ride is greatly improved by doing the complete job with new foams and new seat covers.